Nick Enstrom has been body boarding and surfing for more than 30 years and after a successful career in motocross within New Zealand and abroad is now looking to chase his body boarding passion. Many New Zealand body boarders struggle to compete internationally and further their careers due to funding. Nick Enstrom is doing his best to help change that and put New Zealand on the body boarding map, both within New Zealand as well as internationally. Nick is currently fundraising to attend and compete in the Pipeline Hawaii World Tour. 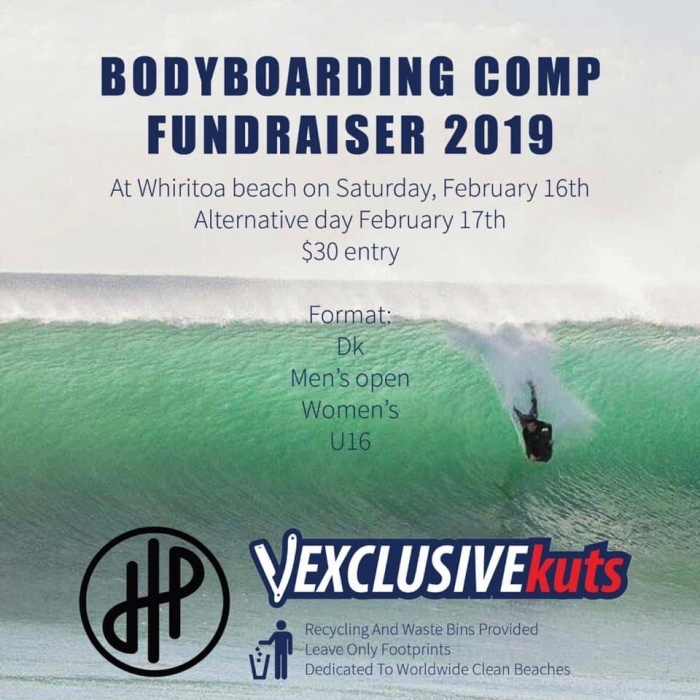 He has organised a body board competition at Whiritoa this Saturday to add to his fundraising tally. Registration is next to the domain at Whiritoa Beach between 6.45 and 7.45 am. First heat gets underway at 8 am sharp. Entry to the competition is $30. Spectators free - donation appreciated!